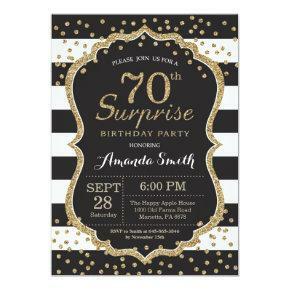 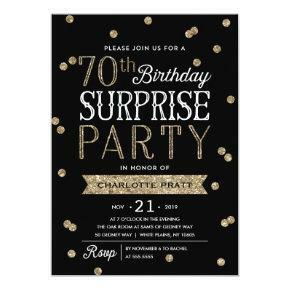 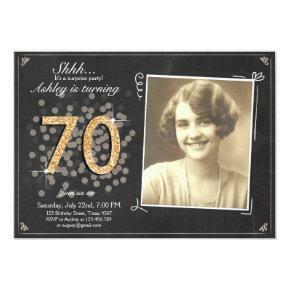 Elegant Modern Black and Gold th Surprise Adult Birthday Dinner Party Invitations for men or women with or without photo — Clear photo for champagne glass design. 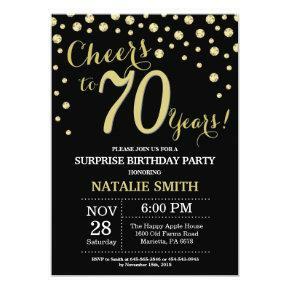 Change the the year, or the special occasion — Add the names, date, and details to create your own unique personalized milestone birthday party invitations. 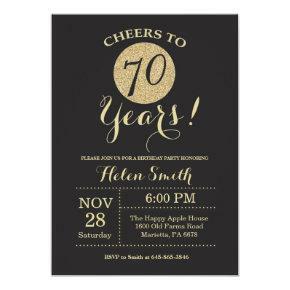 Other milestone celebration styles, colors, and years available in gallery. 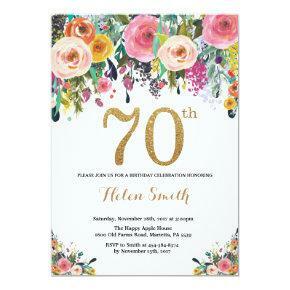 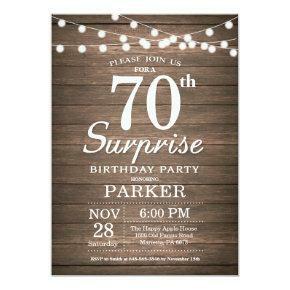 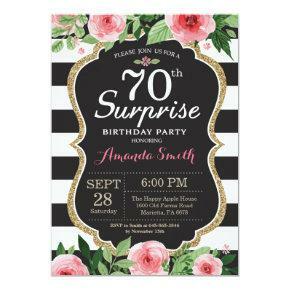 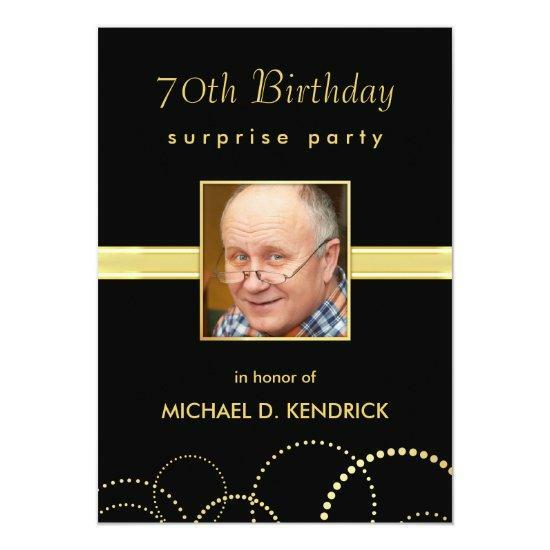 **NOTE: Sized for 5×7 invitation cards — other sizes and styles available in gallery.